In honor of the upcoming Tiddly Inks Blog Hop I decided to make some paper for a background to a LO for Halloween. 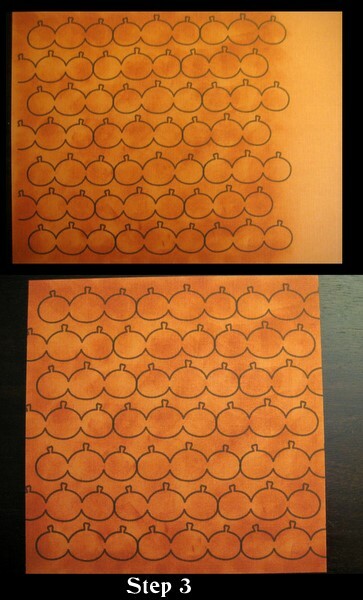 I wanted to have just a simple pumpkin paper so I turned to my Gypsy. This is for an 8x8 sheet of paper. 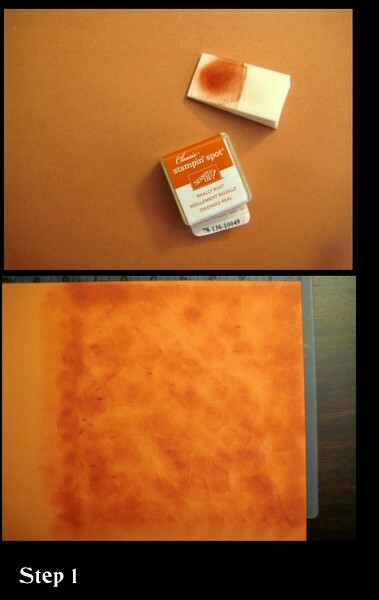 I took my ink spot "really rust" from Stampin' Up and a make-up sponge and inked up an 8x8 section of this spicy orange pumpkin paper from DCWV. I wanted to add some depth to the paper and the ink hit that need. After I inked up the paper, I welded the border of pumpkins on Doodlecharms and simply aligned them in a row. I staggered them so they would look a bit different for each row. Next, I placed my cricut marker in my machine and attached my Gypsy to my Expressions. I had my settings on 4 blade depth, 3 speed and 2 pressure - this works best for me, but you might want to try it yourself first to see what works best for you. I then hit cut on my Gypsy. I only covered an 8x8 section of my 12x12 paper so finally I had to trim the edges. 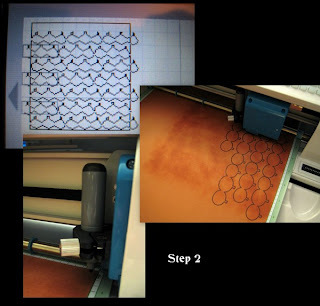 This is a simple way to make your own paper. You could go much more elaborate and add more details to the images too! I'm getting so excited for Halloween - it's a crafter's dream come true right? - And, I bought Mini Monsters so it should be arriving at my door soon! I think I'll give you a good review of the cartridge - let you know if it's worth purchasing - he he!